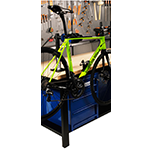 The Bench Mount Clamp rotates 360 degrees, allowing the bicycle to thr positioned at any angle. 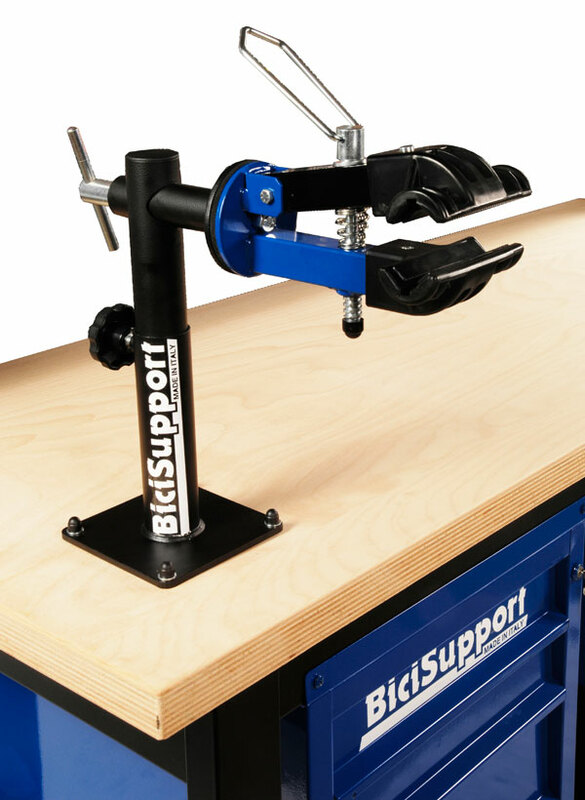 _ Fully adjustable clamping pressure prevents demage to thin-walled tubes. _ The distance from the clamp center to the bench post center is nominally 39 cm.